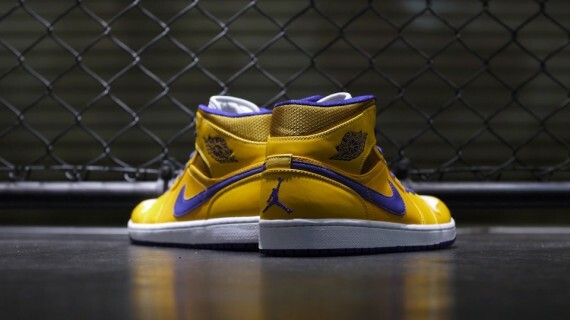 The Jordan Brand continues the team-inspired releases with this never before seen LA Lakers Air Jordan 1 Retro Mid. 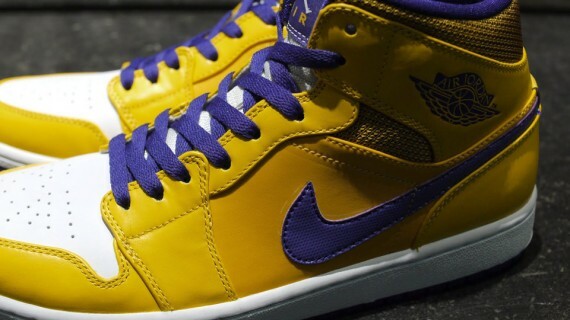 Taking us back to Michael's first-ever NBA Finals appearance in 1991 vs Magic Johnson and the Lakers, this all new Air Jordan 1 arrives covered in classic LA team colors. 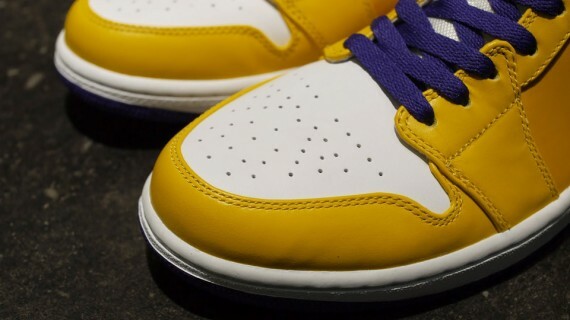 Gold and white come together throughout the premium leather upper, topped with purple over the laces, Swoosh logos, collar lining and outsole below. 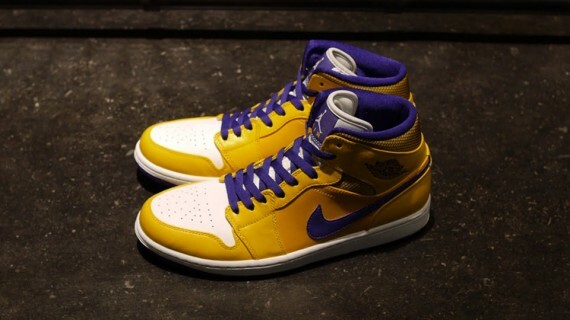 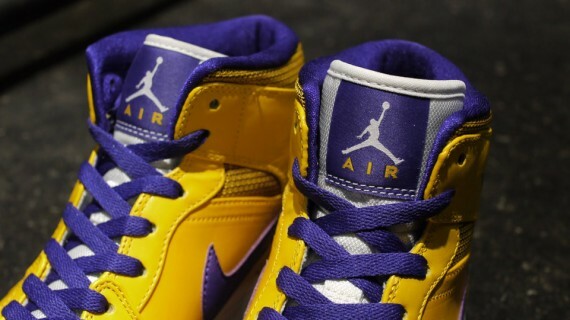 Stay tuned to Sole Collector for further details on the "Lakers" Air Jordan 1 Retro Mid.